When the only option you have is to talk with a chatbot, you cringe when you have to engage with that awful robot that embarrassingly pretends to be human. While you’d love to be chatting with a human, resources are thin and we would all just rather have a better middle ground. Init.ai, the company that was born out of necessity is taking a different approach with chatbots with a smarter and less robotic way of engaging with customers. 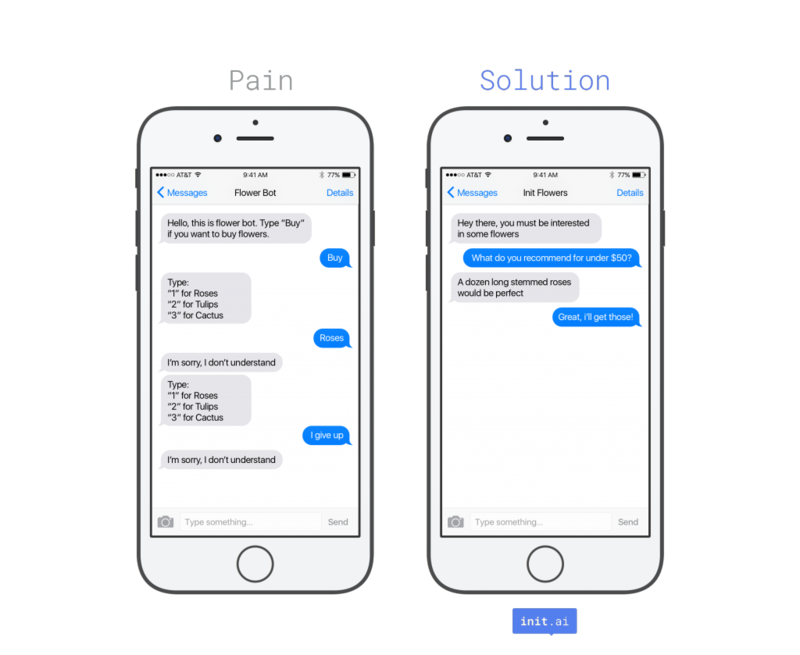 With a more advanced understanding of language, slang, and context, Init.ai is a glimpse into the future of chatbots. AlleyWatch chatted with cofounder Will Dawoodi about the startup and what companies really want from their chatbots. 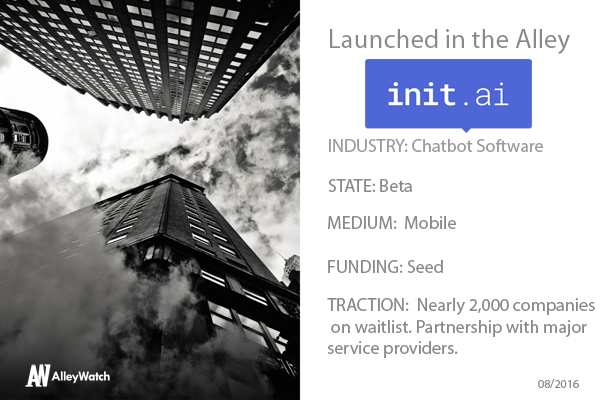 Init.ai enables companies to easily create AI-powered conversational apps through our platform. We offer a comprehensive solution that handles messaging, natural language understanding and generation, and business logic to integrate with third-party APIs. The resulting user experience is natural and fluid, and goes beyond the bots on the market, which are rules-based and feel mechanical. 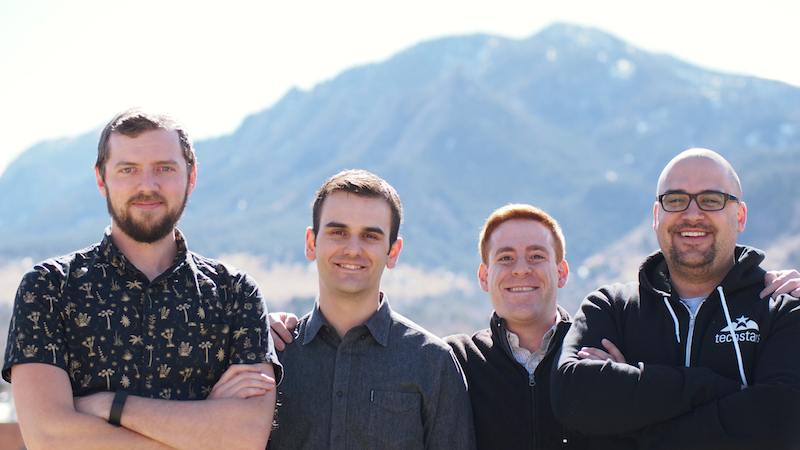 Init.ai is venture-backed, a Techstars Boulder 2016 company, and based in NYC. We power conversational apps that provide great user experience. We’re less concerned with the bot hype than what the space looks like as it matures into providing real, tangible value to end users and the businesses that are our customers. Current chatbots are menu or tree based. They feel mechanical and only respond to the prior message. It’s like speaking with your bank’s IVR system. Init.ai, on the other hand, believes conversation and not menu-based single question and answer queries makes for delightful user experiences and will drive bot adoption. Consumers shouldn’t get tripped up when want to send multiple messages, follow-up questions, have segues, write “uhm”, etc. All those issues result in a bad user experience. It is our belief that over time we can address enough of these issues to make the experience great. To be clear, we have no intention of fooling an end user into thinking they are speaking with humans or to pass a Turing test; we just want to make their interaction feel more natural, with less pain and annoyance. It’s hard work and it will take time, but we’re taking a unique approach to make it happen. Everything we do is uniquely conversation-oriented. It enables us to take advantage of the most recent deep learning, neural-net language understanding technologies in a different way than the previous products. For example, it’s important to understand the different ways “cool” is used in these conversations: “What temperature do you want the thermostat set to? … Cool” and “Can I set the thermostat to 95 degrees? … Cool”. It’s a hard problem that requires the type of multi-message, conversational system we’re building to make work. We’re also focusing on what these tools need to look like to be trusted by a business as a core part of their product. 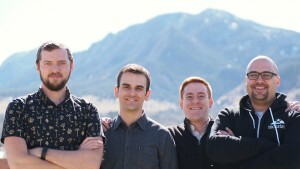 We want to be CTO-approved, with a solid workflow, not a toy product. Drag and drop is not our thing. Again, we’re hyper focused on creating value for our customers and, in turn, their users. There will be over 4 billion users of messaging apps globally by 2018. Right now 65% of those users want to message businesses. At the same time, two thirds of users don’t download apps in any given month and they clearly prefer to spend their mobile time within messaging. We sell to businesses who want to scale and reach those users where they prefer to be and not just through apps. We are a SaaS based solution with fixed monthly pricing tiered by feature set and a variable component for usage. At the end of 2014 we were creating a conversational app for personal finance. We experimented with outside tools like Wit.ai, Api.ai, Watson, etc. We tried open source tools. We had issues with all of them. They weren’t designed from the start to implement conversation; they were all designed for single question and answer queries. So we built our own and made that the focus of our company. In your opinion, how long will it be before AI, NLP, and messaging is completely commoditized? Most large companies and universities push the boundaries of research in AI and NLP. They publish and open-source much of their findings. In a sense quite a bit of it has bit commoditized. The difficult work is actually in productizing it. People overlook getting the technology into the hands of real users, the workflow of creating and improving these apps, and the process of creating language training data. These all add up to significant challenges that need tooling to make it possible, and that’s where we come in. We hope to continue to rapidly add businesses to our platform and unveil new features that make both the developer experience and the end-user experience fantastic. You’ll see us slowly come out of stealth and then rapidly improve our service in ways that other companies won’t be able to compete with, because of our unique approach. Our goal is to take more companies off our waitlist to create amazing conversational apps that stand out from all the bots out there. Hiring is hard, but it’s meant to be hard. Our first hires shape the culture of the company and finding the right people takes a lot of time and energy. Yann LeCun, the founder of NYU’s Center for Data Science who also runs Facebook’s Artificial Intelligence Research Group. I’d love to pick his brain on where he sees the future taking us, and of course what else is coming out of Facebook in the next few years. New York has great diversity in its economy and its culture. We are shaped by many of the businesses here who will be our customers. We need exposure to those businesses and the diverse group of developers they employ because it helps us shape our product. There is less of an echo chamber effect than other tech hubs, and that enables us to stay grounded to the needs of real customers and real people. It helps us make a better product. It’s also a great place to hire. Three of the leading universities that are advancing machine learning and artificial intelligence are in New York. Leading universities on the East Coast and in Canada are close by. The burgeoning tech scene and the growing presence of major technology companies like Google with helps as well. I’ll unwind after we hit some of our milestones. Hopefully by then someone will have built a conversational app that can tell me where the best rooftop bar is.